Yes, Cupcake Wars is another show about baked goods on cable TV, but I’ve never seen it so I’m not going to talk about it. 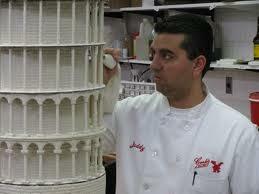 Instead, I’m going to talk about Cake Boss (I swear, I swear this is the last time). Of all the wonderful things Cake Boss has taught me–and really, there aren’t many–my most cherished lesson is how to eat a cupcake. “There’s a correct way?” you’re saying out there at home, while trying to eat a cupcake delicately and ending up with frosting up your left nostril. Now doesn't that look easy to eat? Yes. There’s a correct way. Or, at least, a better way. Instead of just launching your mouth at a mound of frosting and later picking away at the cake left stuck to the wrapper, try this: remove the wrapper. 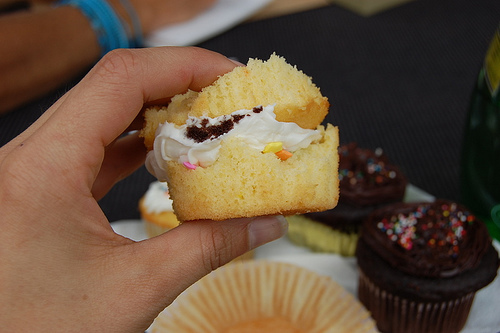 Pull off the bottom of the cupcake. Place on top of the frosting. Voila: cupcake sandwich. All the deliciousness without the mess (and without sad, leftover cake that you don’t really feel like eating once the frosting is gone anyway). 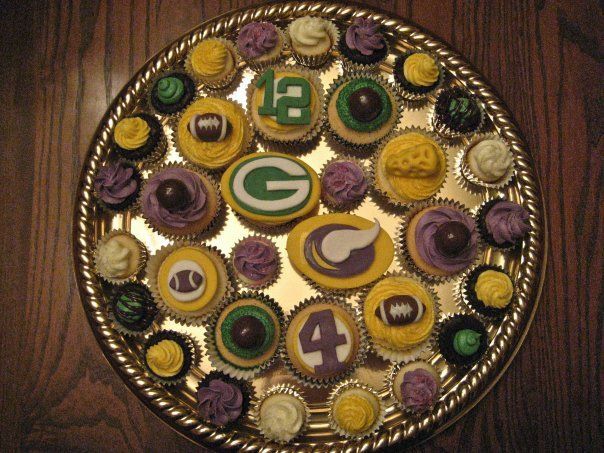 Now, this is important information because, if you hadn’t heard, cupcakes are all the rage. 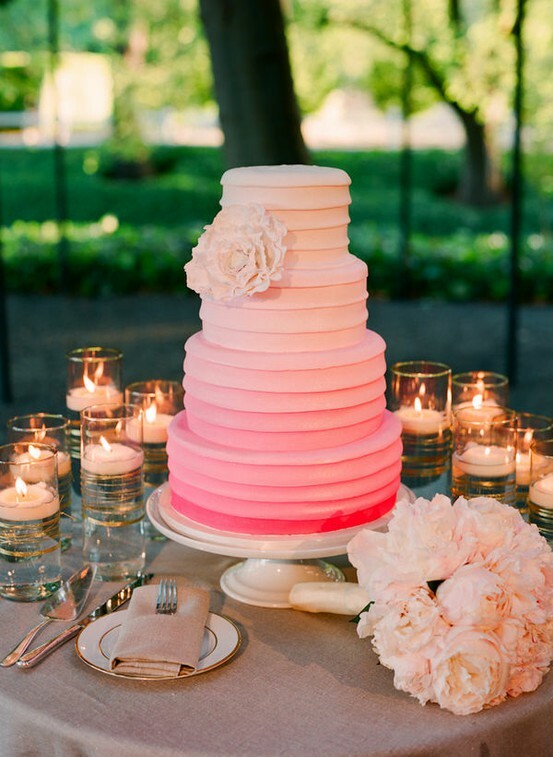 So much the rage that every trendy bride out there is forgoing a bland ‘ol elegant tiered cake and serving an array of cupcakes instead. 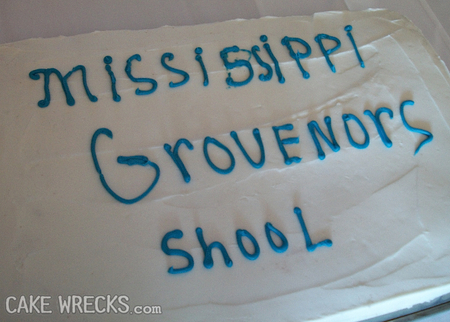 Cuts out that sloppy cutting-the-cake tradition. I’m not trying to suggest that cupcakes can’t be elegant. In fact, my friend Florence recently started a cupcake business in Minnesota, Flor de Lis Cupcakes, and creates incredible wedding spreads. I’m happy to say that if I ever show up to a wedding with all cupcakes, I won’t have to turn one down in false modesty (but really so as not to get icing on my eyelashes). Thank you, Cake Boss. 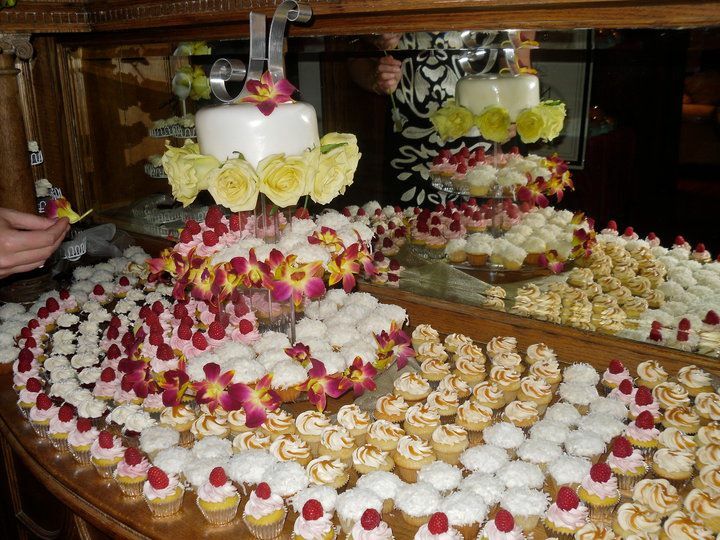 Flor de Lis wedding spread...incredible, no? Haven't you heard about NOT messing with Texas? 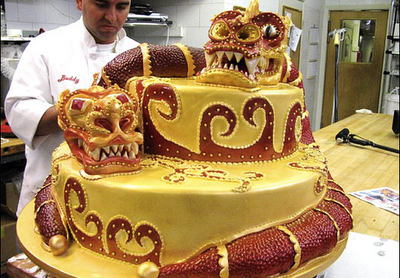 Yep, now that is an ugly cake. Also, if you’ve made it down this far, I want to put in a quick plug for my boyfriend (who would be mortified if he knew…good thing he doesn’t read this!) Back when he first started at City Pages he chose 10 of his favorite cake wrecks and wrote up his own descriptions of them. They’re pretty hilarious. I already posted once before about cakes, but they’re such an important topic (right?) that I thought cakes warranted their own week. This is a particularly good week to talk about cakes, because today I’m heading to my cousin’s wedding in Wyoming. My mom, along with three other women, has been enlisted to create a cake for the reception. Much to my pleasure, she went through a cake-making frenzy last week to find the perfect recipe, which meant that I had to be enlisted as a taste-tester. Not a problem. I’ve always had a special place in my heart for cake. Whenever I accompanied my mom on grocery shopping trips I looked forward most to the bakery aisle where, if I was lucky, someone would be decorating a cake. 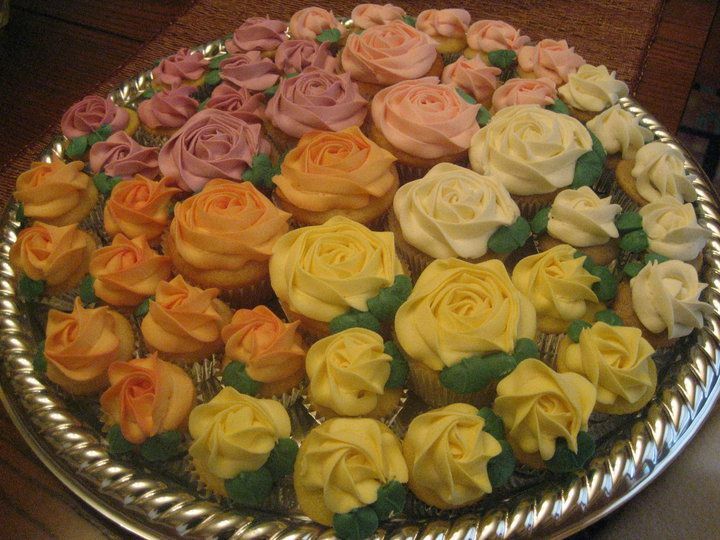 I loved then–and still love–the delicate sugar roses and perfectly twisted piping that decorators create out of globby tubes of icing. One of my childhood friends still remembers my birthday parties for their unique cakes. Everyone else always got Disney princess cakes (cakes are the medium most perfect for replicating Disney stories in their bright, sugary un-wholesomeness) complete with figurines you could take off and play with. My cakes, though, were never just sheet-cakes-from-the-grocery-store. I had a cake in the shape of a butterfly one year, and my brother once got a castle complete with turrets made of ice cream cones. And, well, yes, I got a Little Mermaid cake another year, but my dad hand-drew Ariel and her friends and cut them out of cardboard. My family has gotten more health-conscious over the years, and cake has been all but banished from our kitchen. 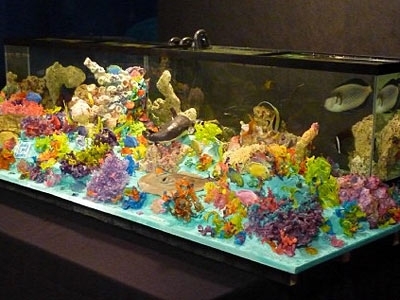 However, we still get our cake thrills through the amazing show Cake Boss (yep, already wrote about this too) which takes cake decorating to a whole other level. Sure, Buddy, the eponymous Boss, can do flowers and piping. 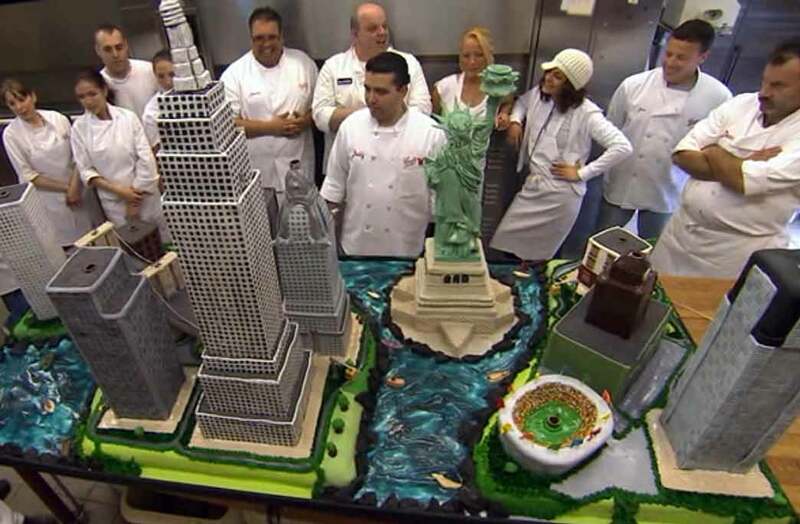 But he can also create the entire city of New York out of cake complete with fireworks or flashing lights, or replicas of prehistoric mammals, or a cake from which a person pops out or birds fly free. We joked about what kind of cake Buddy would bring to my cousin’s wedding: probably a replica of the Tetons complete with a minuscule working chairlift and skiers coming down the mountains. Buddy surely would not make the kind of cake my mom’s bringing: vegan, gluten-free, free of processed sugar. But as much fun as cake-mountains capped with real snow would be, I can assure all the wedding-goers that my mom’s cake will be just as excellent. I should know: I taste-tested it. And then I taste-tested it again. 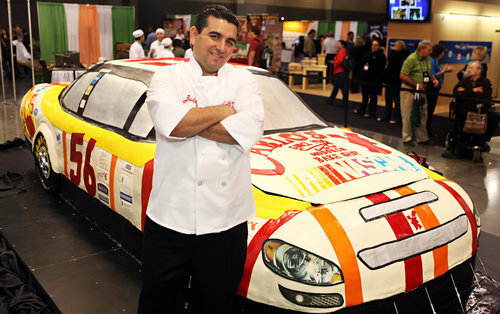 I fell in love with the show “Cake Boss” this past autumn–who wouldn’t love a family of loud, colorful Italians who make loud, colorful cakes? 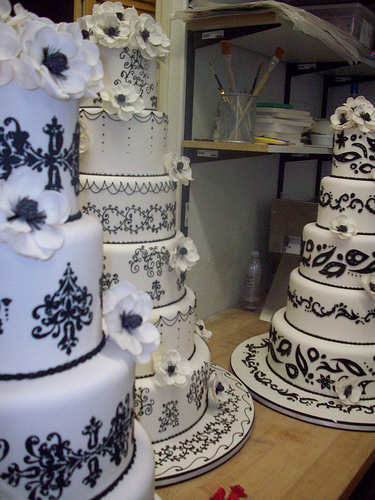 Though much of the series is now devoted to crazier and crazier cakes (robot cakes that move, life-size race car cakes, a roulette cake with a spinning wheel for the mafia, etc), the series premiere was devoted to wedding cakes. 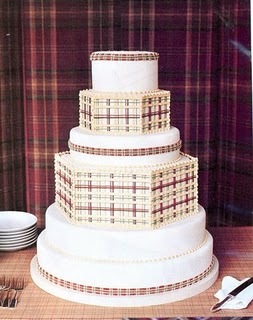 Buddy, the eponymous boss, created three cakes for a wedding magazine photo shoot that epitomized elegance and class. 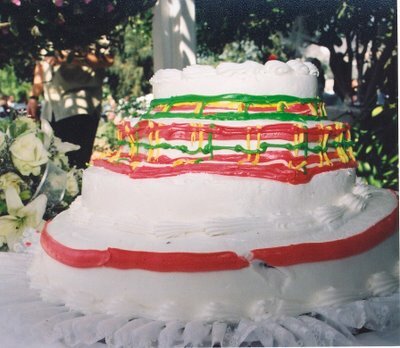 After that first episode, wedding cakes were rarely featured. There are a few notable exceptions, though. There was the wedding cake that featured live birds (apparently, this is old-school Italian wedding fashion). There was the episode where the delivery boy delivered beautiful cakes to the wrong locations. 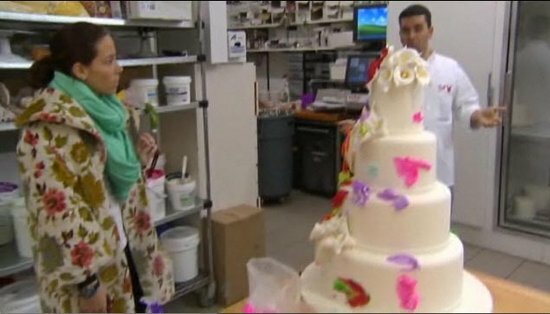 And then there was the episode with the ultimate Bridezilla: she came in unexpectedly to preview her cake and was so disgusted with it she ruined the all-white cake with multiple frosting tubes while Buddy was out of the room. 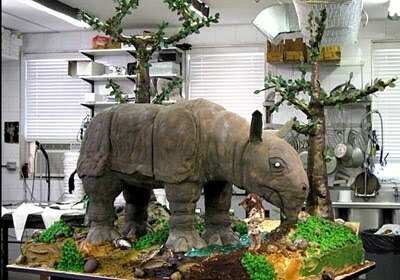 Imagine ruining a cake worth several thousands of dollars. What? Don't the colors make it prettier? Buddy ended up making this unhappy bride a new cake (the mother of the bride paid for both), and the second cake was even more beautiful than the first. The bride refused to appreciate it. 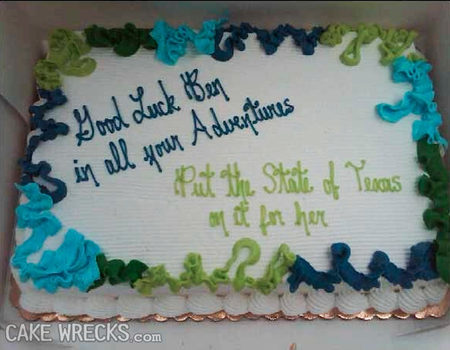 Now, that bride seemed like she wouldn’t have been pleased with any cake Buddy presented her. 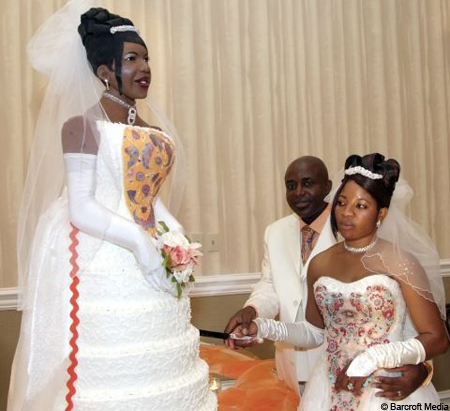 I could forgive the next bride for being displeased with her cake, though (not a Cake Boss creation). Perhaps it’s her fault for asking for her cake to resemble her. Still, she looks mighty unhappy as she prepares to cut into her frosted doppelgänger. I do NOT have red rick-rack on my dress. This cake is all wrong.